The second nullsec Keepstar to ever be anchored came online at 20:00 EVE time entirely uncontested. 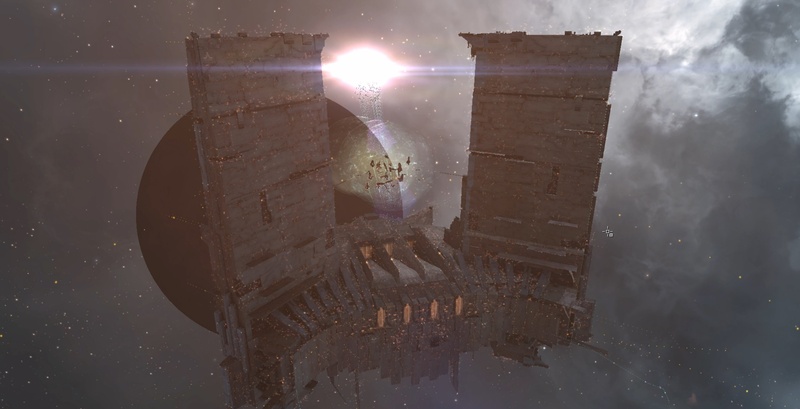 The Keepstar belongs to Pandemic Horde and was anchored in 7RM-N0, coming online less than a week after DARKNESS. anchored the first Keepstar in 209G-D. Standing Fleet is still going strong. Come and make isk while getting strat papsWe need more Procures and ventures mining. Here we see two very distinct strategies for fortification forming. The Imperium is hard at work increasing their ADM’s to improve their foothold on the systems they have re-captured in Pure Blind, and the MBC are busy fortifying their positions using imposing Citadels. One provides a temporary defence and the other has to be removed by force. This raises the question: if the Imperium continues to allow MBC forces to fortify their positions across occupied territory, are they potentially giving themselves a bigger mountain to climb to achieve their future strategic objectives? Hello there, i have faith that we discovered people frequented this site koleksi youtube indonesia i really came to go back the choose? . Now i am trying to find items to develop my website! I suppose it’s adequate to use several of ones aspects! Howdy very nice website! Guy. Outstanding. Exceptional. We’ll book mark your blog as well as grab the for likewise? I’m happy to find a lots of techniques the following in the upload, we want determine additional methods about this value, thank you for discussing. Appreciate your any magnificent post. The place in addition may well everyone get that style of info in such an affordable way involving composing? I’ve a demonstration up coming 1 week, using this program .. aplikasi android berita saham terkini to the search for such information. You understand as a result considerably in regards to that theme, developed people trust me coming from several different aspects. It’s similar to people don’t seem to be serious unless it’s something regarding Female coo! Your special things spectacular.. presiden joko widodo Constantly care for it down! Hello there, You will have completed a fantastic job. Let me certainly digg it and my personal check out propose for you to my buddies. I’m self-confident they’ll be took advantage of this site. Hey there, merely turned into mindful of your current weblog via Bing, and located that it is truly informative. I’m just gonna be careful intended for brussels.. jual chip line We are gracious when you go on this particular in future. Many individuals are going to be benefited from ones composing. Cheers! obviously appreciate your web-site but you should examine the transliteration upon a good number of of the content indonesia saham. Many of possibilities rife using transliteration issues and I to find the item really difficult to inform the facts conversely I will definitely keep coming back again. I simply want to say I am just new to blogging and site-building and seriously savored this web site. Probably I’m going to bookmark your site . You certainly have wonderful stories. Kudos for revealing your web-site. I enabled comments on my blogger page but it only shows the comments link, and when it’s clicked, a new page opens to show the comments. Is there a way to just have the comments show on my main page right underneath the blog, I don’t want just a link to the comments page..
exactly how come some blog sites in a blogroll do not have their most recent article noted and others do? Exactly how to transform that? Someone claimed that you had to buy a domain, or your blogs weren’t seen by everyone, is that true? Do you understand what a domain name is? OTHERWISE do not respond to please.